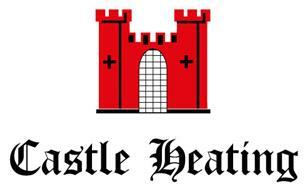 Castle Heating - Central Heating Engineer, Plumber based in Welwyn Garden City, Hertfordshire. Welcome to our Checkatrade page for Castle Heating. Let me introduce you to my Checkatrade approved company Castle Heating. I first become an accredited Heating and Plumbing Engineer when I finished serving in the RAF. I'm pleased to say that I believe I am the longest serving member of Checkatrade within Welwyn Garden City as I have been in partnership with them since they first started in this area back in 2011. My team and I at Castle Heating are all Gas safe registered and take great pride in all the work we do, which includes competitive pricing, trust worthy, fully vetted team members operating within a professional, respectful , tidy and cost effect manner. Please take the time to read through our testimonial's on Checkatrade. With over 30 years of professional Heating & Plumbing experience we at Castle Heating will be more than happy to answer all of your enquires however large or small. Free Boiler & Heating Installation quotations available plus a competitive hourly rate.